I’m trying to add more fish to my diet and sometimes it can get boring! I had these salmon fillets in the freezer. I wasn’t in the mood to grill and it was too hot to turn on the oven. 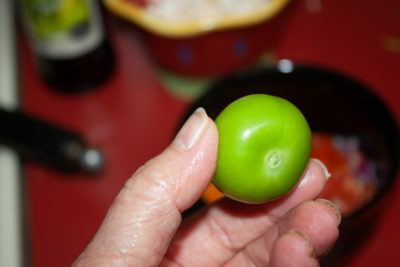 Hmmm… I have some great things out in the garden! And voila! We had tacos! Mix the chipotle powder, cumin, salt, and sugar in a small bowl, blending well. 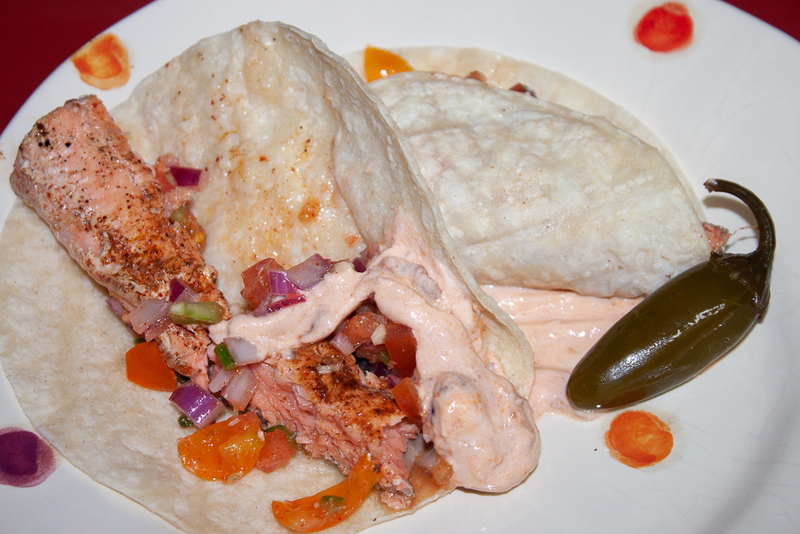 Rub the salmon fillets with the spice mix on both sides, then set aside. 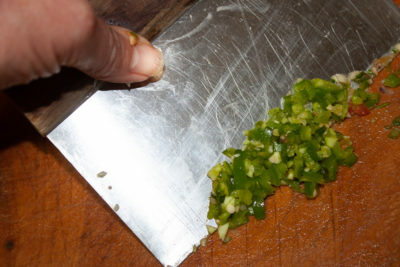 Prepare the salsa ingredients as indicated on the list. Place them all in a ceramic bowl and mix well. Refrigerate. 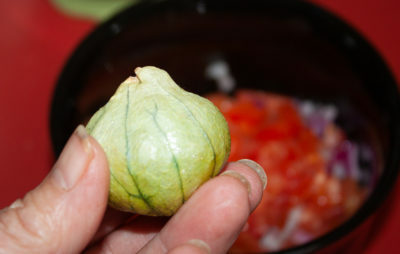 I grow the tomatoes, tomatillos and the cilantro – so those items were super fresh and nutritious! 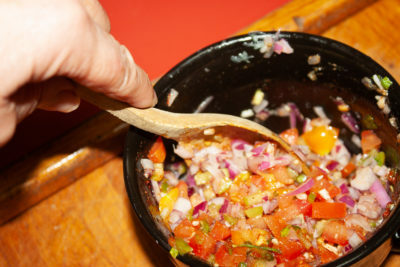 Mix the yogurt and chipotles in a small bowl. Refrigerate. Heat the oil in a heavy skillet and place the salmon fillets in gently, skin side down. Let it cook until the skin begins to get crispy. Flip each one and cook another minute or two. Remove from the pan and set on a warm place. Heat the tortillas either in a microwave (place in a plastic bag to steam) or the oven (wrapped tightly in foil). You can also add a little more oil to the pan and fry them if you like crispy shells. Cut each fillet into pieces. 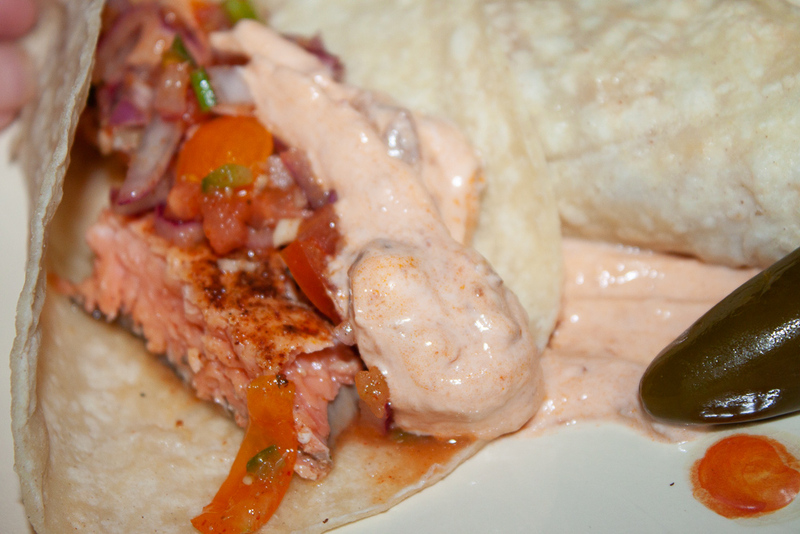 Place ½ of a fillet in each tortilla. 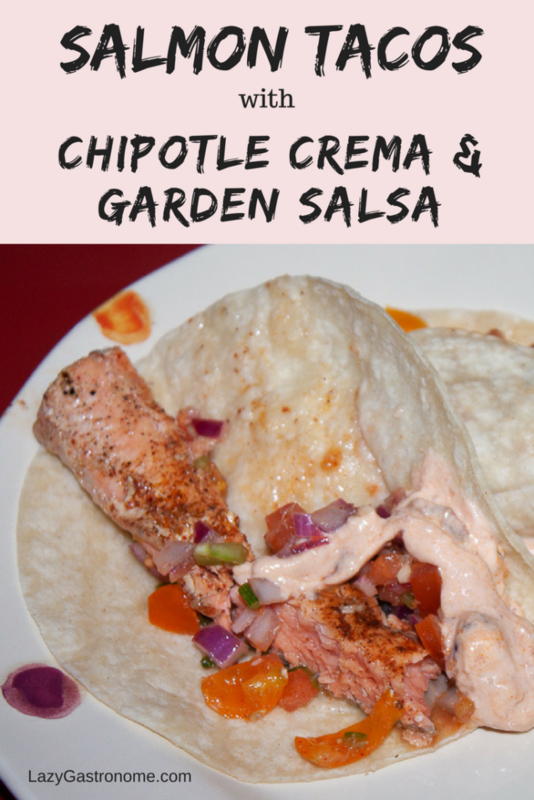 Top with salsa and chipotle crema. Serve with a spicy, pickled jalapeño. Makes four servings of two tacos each.